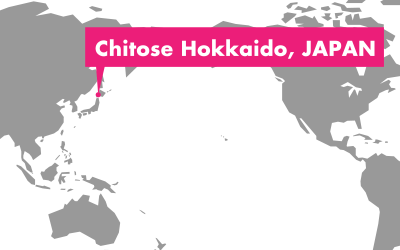 The New Chitose Airport International Animation Festival is intended to support the discovery of creative expression as inspiration for future development, and to promote such expression worldwide. The event is also expected to create a new forum for international exchange through the culture of animation with New Chitose Airport as a base. Submissions will be sorted into the relevant category based on judgment by the Festival Office and Selection Committee members. Submissions may be selected for more than one of the categories. The Audience Award is decided through an audience voting system. The festival office may establish other awards decided by different criteria. Entrants are asked to carefully read and agree to the terms and conditions of the Submission Regulations for Animated Short Film Competition before submitting works. (1) Submissions must be animated films with a run time not exceeding 30 minutes, including end credits (all animation techniques acceptable). (2) Submissions must be works completed in or after 2014. (3) The director or the producer of the film or the entrant must hold the right to screen the film submitted, and all rights to screen the work during the festival must have been secured. (4) The entrant is strongly recommend to make the submission available for Internet streaming. However, submissions by post are also accepted if there is a valid reason. For more details, see Section 7-2 Preview films. (5) Films that have previously been submitted to the past editions of the festival will not be accepted. Multiple submissions from the same entrant are accepted as long as the above conditions are satisfied for each one. The festival office will invite a filmmaker or a producer who satisfy certain conditions by covering related costs as described below. The detail is notified of the details by email after the selection. Even if the film is nominated in more than one category, only one person is invited. Submissions are accepted only via the Online Submission Form. If you submit many films at once, we accept your submission by list. Please send a compiled list of films information to the email address below. Microsoft Excel, Word file and PDF file are acceptable. You will get a response after we check the file. The email address shown below can be used to request further information or ask questions about submissions.